The SSEP Mission 8 to ISS flight experiments payload Kitty Hawk is scheduled to launch tomorrow, Monday, July 18, 2016, at 12:45 am EDT from Space Launch Complex 40, Cape Canaveral Air Force Station, FL, aboard SpaceX CRS-9. SSEP Kitty Hawk is comprised of 15 microgravity experiments. The night launch of the Falcon 9 rocket and Dragon cargo spacecraft, just past midnight this evening, promises to be spectacular. Dragon will arrive in orbit just 10 minutes after launch. 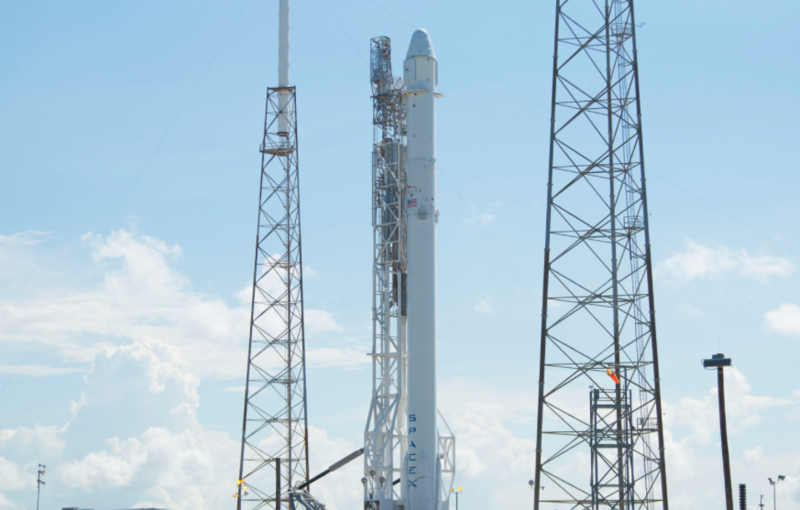 Dragon is scheduled to arrive at Station on Wednesday, July 20. All SSEP Mission 8 student microgravity research teams are awaiting on-orbit operation of their experiments by the astronauts, with 10 of the 15 experiments scheduled to be activated on arrival at station on likely Wednesday. A record of all on-orbit operations will be provided by the astonauts to ground controllers, relayed to launch services provider NanoRacks, and onto the SSEP Flight Ops national team at the National Center for Earth and Space Science Education (NCESSE). NCESSE will then post that record on the SSEP Mission 8 to ISS Experiment Log page and inform all student teams, allowing them to concurrently operate their ground control experiments by mirroring operations on orbit. The launch of SpaceX CRS-9 will be covered live on NASA TV, and we have provided a video portal below if you’d like to watch right here on the SSEP National Program website. Launch coverage on NASA TV begins at 11:30 pm EDT, Sunday, July 17, 2016. If there is a scrub, NASA will recycle if possible to the next launch opportunity on Wednesday, July 20, 2016, with launch at 12:00 am EDT. NASA TV will also provide live coverage of Dragon capture at Station using the Station’s robotic arm, and berthing to the Station’s Harmony module, on Wednesday, July 20. 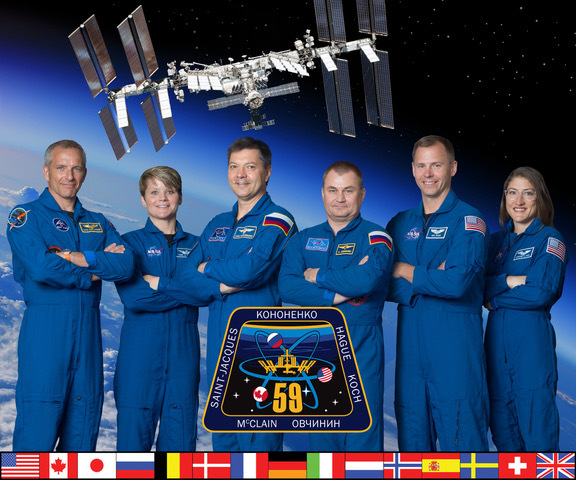 NASA TV coverage of capture begins 5:30 am EDT Wednesday, with berthing coverage beginning at 9:45 am EDT. Below is the July 12, 2016, NASA Media Advisory which provides more details on the flight of SpaceX CRS-9. To SSEP Mission 9 and 10 flight teams – consider this a dry run for launch of M9 Endeavor and M10 Casper on Spacex CRS-10, currently No Earlier than (NET) November 2016, and CRS-11, currently NET February 2017. SSEP – real spaceflight all the time. That’s what we promised. As of this writing, we are at T-minus 14 Hours, 30 minutes and counting. Godspeed Dragon. The Mission 8 to ISS Kitty Hawk payload is comprised of 15 microgravity experiments being performed across a wide range of disciplines, including: antibiotic effectiveness, studies of fungi, microbiology, seed germination, water absorption, collagen degradation, storage of medicines, and biofilm formation. A total of 14 communities across the U.S. and Canada engaged 3,290 grade 5-16 students in microgravity experiment design. A total of 708 flight experiment proposals were submitted by student teams across the 14 communities. Of those, 352 proposals were forwarded for review by Step 1 Review Boards in each of the communities. Each Step 1 Review Board selected three finalist proposals, which were submitted to the National SSEP Step 2 Review Board. One community, Suffolk County, New York, underwrote the flight of two experiments – one for each of their two participating school districts – and submitted 6 finalist proposals. On May 19, 2015, the Step 2 Review Board met at the Smithsonian National Air and Space Museum, reviewed all finalist proposals, and selected one proposal to fly for each community (two for Suffolk County, NY), for a total of 15 flight experiments. By May 28, 2015, the National Center for Earth and Space Science Education and the Arthur C. Clarke Institute for Space Education formally notified each community of their selected flight experiments. SSEP Step 2 Review Board members for Mission 8 to ISS. NASA provider SpaceX is scheduled to deliver scientific research, crew supplies and hardware on its ninth Commercial Resupply Services mission to the International Space Station Monday, July 18. Coverage of this mission will begin with a prelaunch news briefing at 2 p.m. EDT Saturday, July 16, on NASA Television and the agency’s website. The SpaceX Dragon cargo spacecraft is scheduled for liftoff on the company’s Falcon 9 rocket at 12:45 a.m. Monday from Space Launch Complex 40 at Cape Canaveral Air Force Station in Florida. Coverage of the launch begins at 11:30 p.m. Sunday, July 17. Approximately 10 minutes after launch, Dragon will reach its preliminary orbit, deploy its solar arrays and begin its two-day voyage of carefully choreographed thruster firings to reach the space station. After arrival, NASA astronaut Jeff Williams will use the station’s 57.7-foot (17.6-meter) robotic arm to reach out and capture the Dragon spacecraft. NASA astronaut Kate Rubins will serve as his backup, and ground controllers will send commands for the station’s robotic arm to install Dragon on the Earth-facing side of the Harmony module. Live coverage of the rendezvous and capture will begin at 5:30 a.m. Wednesday, July 20, with installation coverage at 9:45 a.m. The following day, the Expedition 48 crew will pressurize the vestibule between the station and Dragon, open the hatch between the two spacecraft, and begin the five-week process of unloading the almost 4,900 pounds of supplies and reloading the spacecraft with cargo scheduled to return to Earth Aug. 29. Among the arriving cargo is the first of two international docking adapters, which will provide a means for commercial spacecraft to dock to the station when transporting astronauts in the near future as part of NASA’s Commercial Crew Program. Experiments launching to station include a space-based DNA sequencer, which the station crew will test. This sequencer has the potential to identify microbes, diagnose diseases and evaluate crew member health, and even help detect DNA-based life elsewhere in the solar system. Other experiments seek to expand our understanding of bone cell function, track heart changes that occur in microgravity, and regulate internal spacecraft temperatures. If the launch does not occur Monday the next launch opportunity is 12 a.m. Wednesday, July 20, with NASA TV coverage starting at 10:45 p.m. Tuesday, July 19.